Rio Tinto has announced a massive $3.1 billion expansion to its Pilbara iron ore operations. The majority of the investment will be used to extend the life of its Nammuldi iron ore mine, with the site receiving a $2 billion boost. A further $1.1 billion will be used on early works to expand the company’s Cape Lambert port and rail facilities. Rio is looking at expanding Cape Lambert from 220 to 353 million tonnes a year, with the expansion currently in final feasibility study. The final investment decision is expected later this year, following BHP Billiton’s approval of nearly $1 billion to construct the outer harbour at nearby Port Hedland. 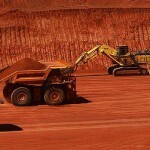 Rio Tinto Australia chief executive Sam Walsh said in a statement the expansions came at a time when iron ore demand from Asia was "forecast to grow strongly". 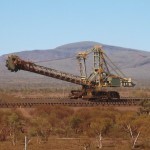 He said the investments at Cape Lambert and Nammuldi were a "significant milestone" in the company’s plans to increase its WA iron ore operations by 50 per cent. Rio said the Nammuldi expansion was expected to deliver first ore in the third quarter of 2014 and increase the mine’s life by 14 years. According to Rio Tinto the Nammuldi mine currently produces 6.6 milltion tonnes a year, but the expansion will more than double its capacity to 16 million tonnes. The company said the Cape Lambert funding followed previous work at the port, including plans to replace an ageing car dumper.